OTTAWA, Ontario (AP) – Anders Nilsson stopped 34 shots for his second shutout of the season as the Ottawa Senators beat the St. Louis Blues 2-0 on Thursday night. Christian Wolanin and Chris Tierney scored to help Ottawa snap a three-game losing streak. The shutout was Nilsson’s sixth of his career. 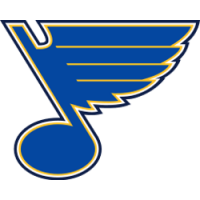 Jake Allen made 19 saves in the loss for the Blues (36-27-7). The rebuilding Senators had two players making NHL debuts – defenseman Erik Brannstrom and forward Max Veronneau. Veronneau, 23, was born and raised in Ottawa and played three years of junior hockey in the city with Gloucester before embarking on his four-year collegiate career at Princeton. He signed a two-year entry-level contract with the Senators on Tuesday after the Tigers were eliminated from the NCAA playoffs and his first skate with the NHL team was on Wednesday. Brannstrom, who was playing with the Senators’ AHL affiliate in Belleville, Ontario, was an emergency call-up due to injuries on the Ottawa blue line. The 19-year old Swede, who was the 15th overall pick by Vegas in 2017, was dealt to the Senators in the trade that sent Mark Stone to the Golden Knights at the deadline. The two rookies teamed up on a couple of occasions to produce scoring opportunities, including midway through the second period when Brannstrom set up Veronneau for a good chance. Veronneau had four shots on goal in the second period.